Yate (details below). Present that morning were members of his family from Westerleigh and Devon. 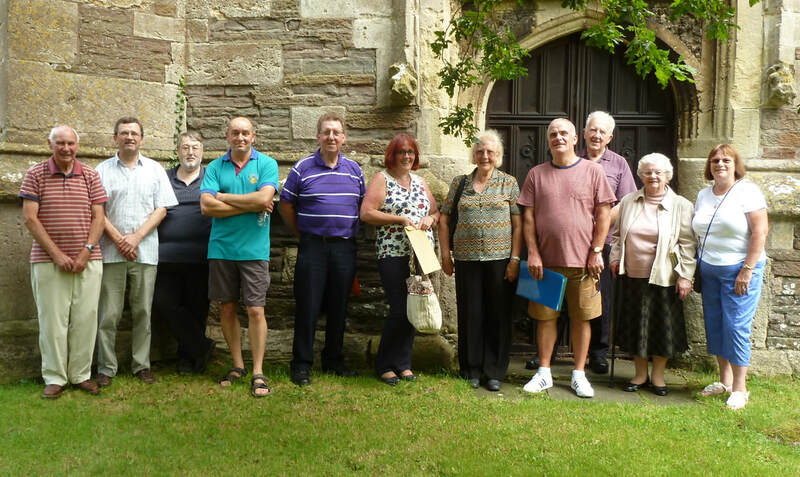 They had come to listen to the ringing and to visit the grave of Joseph’s parents which is in St Mary’s churchyard. Joseph has no known grave but, is remembered on the Helles Memorial, Turkey. The two branches of the family had not previously met but did know of their existence - my research into Joseph lead to them making contact. A British Legion cross was placed on the WW1 memorial in the lytch gate at St Mary’s. Members of St Mary’s craft group have made crochet poppies and one is placed on the memorial on the anniversary of each Yate loss with the person’s name/service rank/regiment etc. Joseph‘s poppy is the second from the top of the column to the left of the memorial. 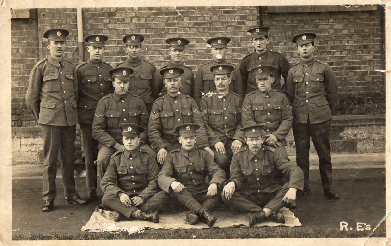 (see photo below) After ringing photographs were taken and Joseph’s family presented with a folder containing the information collected about his service with the Corps of Royal Engineers, family and, included some photographs. Copies of the folder have also been given to Yate Heritage Centre and St Mary’s church and bell ringers. An additional copy will be placed the Wotton Branch archives. The Gazette of 21 August contained a photograph of Joseph and gave notice of the quarter peal attempt with an explanation of the reason for ringing. Unfortunately, it contained the usual spelling and technical errors - ie peel despite being given, in writing, ‘quarter peal’! Thank you to Barrie and the Yate ringers for making all the necessary arrangements. Best wishes to Barrie for a speedy recovery from the ill-health which prevented him from taking part. The Division came into existence as a result of Army Order No. 324, issued on 21 August 1914, which authorised the formation of the six new Divisions of K1. It was formed of volunteers, under the administration of Irish Command. After initial training at the regimental depots, the units of the Division moved in 1915 to the Curragh, Newbridge and Kildare, where training in Brigade strength began. Joseph Warner was sent to the Curragh to complete his training. The photographs of him were taken at the Curragh in 1915. 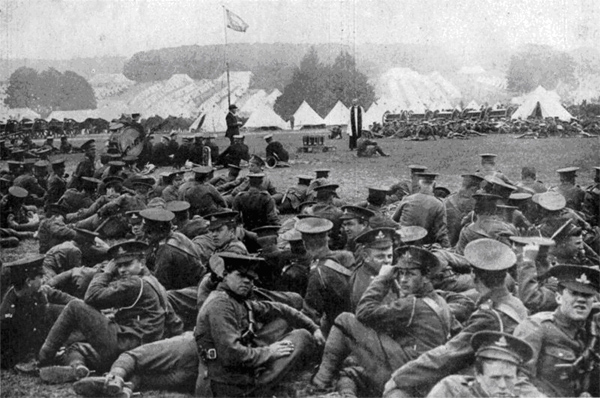 In May 1915 the Division moved to England and concentrated around Basingstoke. It was inspected by Lord Kitchener at Hackwood Park on 28/29 May. Divisional HQ embarked at Liverpool on 9 July, and by the end of the month most units had assembled on Lemnos. 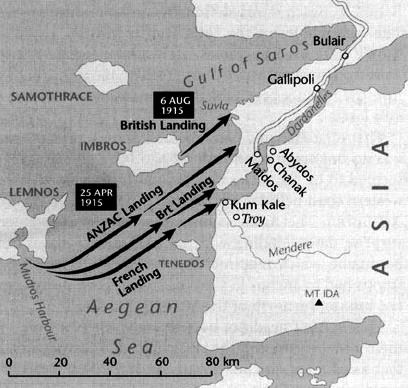 On 6-7 August 1915 the Division landed at Suvla Bay, less 29th Brigade which went to ANZAC Cove. The main body made an attack on Chocolate Hill 7/8 August. The Field Company was composed of 217 men, as shown here. A detachment of the Field Company (a proportion of the above) was left at the Base, as reinforcements. The men were organised into two areas: Mounted (which included the CQMS, the Farrier, the Shoeing Smith, trumpeter, 3 NCOs and the drivers and batmen) and Dismounted. The latter represented many kinds of trades required by the army in the field, including in the numbers shown above 15 Blacksmiths, 20 Bricklayers, 40 Carpenters, 5 Clerks, 12 Masons, 6 Painters, 8 Plumbers, plus surveyors, draughtsmen, wheelwrights, engine drivers and others. The Field Companies relied on horses for transport and had an establishment of 17 riding horses for the officers and NCOs of the Mounted Branch, plus 50 draught heavy horses, and 4 pack horses. There were also 5 spare draught horses as replacements. With the exceptions of the Trumpeter and Bugler, all other ranks were armed as infantrymen, carrying the SMLE rifle. The list of Field Company equipment is far too long to detail here, as you might imagine. As an example, the Company had in its care 111 shovels and 107 pickaxes. It also carried a store of sandbags and guncotton charges. Gallipoli is the most frequently used name for the peninsula to the west of the Dardenelles Straits, and the fighting that took place there between British and French troops of the Allies against Turkish troops between April 1915 and January 1916. Most famously, it was where the soldiers of the first ANZAC - the Australian and New Zealand Army Corps - went first into action during the Great War. Once the fighting on the Western Front in France and Flanders settled into siege warfare that defied attempts by both sides to break through, some British politicians became entranced by the idea of attacking Germany 'by the back door'. Despite pre-war Naval planning that suggested a passage of the Dardanelles Straits was impossible, the lure of an easier route to the defeat of Germany became irresistible. The pro-'Westerners' in the high Army command were overruled and eventually acquiesced. The Gallipoli peninsula lies in Turkey, forming one land side of the Dardanelles Straits, an historic waterway that links the Black Sea and the Aegean Sea. The peninsula is only 10 miles at the widest point and is about 45 miles long. Cape Helles lies at the outhernmost tip. The terrain is inhospitable: it is a rocky, scrub-covered area with little water. The hills are steep-sided and are cut into deep gullies and ravines. Among the hills which lie along the spine of the Peninsula, there are many peaks and valleys. Rung in memory of Sapper Joseph T Warner who was a ringer at this church and a member of the Gloucester and Bristol D A. He served with the 66th Field Company, Corps of Royal Engineers and died at Gallipoli, aged 19, on 22.08 1915.